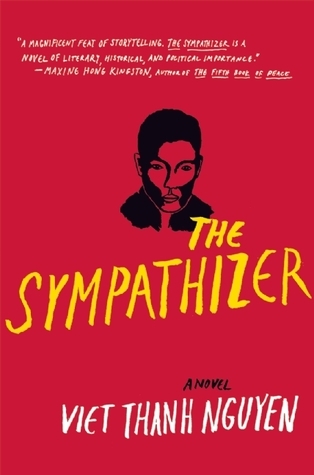 The Sympathizer by Viet Thanh Nguyen, which was our April book club selection, is a novel that satirizes the aftermath of the Vietnam war, but it also is a serious examination of identity from the point of view of someone who is a subversive and a mole within the South Vietnamese military at the time of the war. The Captain, who remains unnamed, is in the South Vietnamese military but feeding information to the People’s Army of Vietnam (communists) through his childhood friend, Man. Meanwhile, their third childhood friend, Bon, has been trained as an assassin by the CIA. Balancing his friendship with his duty to the communists becomes a balance that the Captain often loses, but as he has so few real connections with others, it is his friend Bon who pays the highest cost. 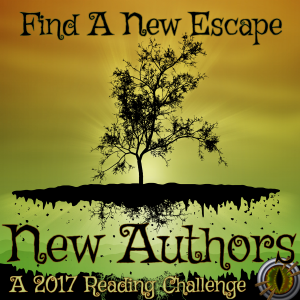 In many ways the opening of the novel will signal to the reader that everything told by the Captain may be untrue or at least partly. But he also seeks to set himself up as a sympathetic character who is torn not only by his heritage — the son of a Vietnamese mother and French priest — but also by his knowledge of America from being abroad at school and his communist leanings. After fleeing Vietnam with the General when the Americans lost the war to the communists, the Captain longs to return, but he is repeatedly told that he must remain a mole among those exiled to America to ensure they are not planning a return. He is forced to swallow more of the bitter pill that his life is not his own, even in America. The Sympathizer by Viet Thanh Nguyen provides a deep look at issues of mixed cultures and races, how they are treated in Vietnam and America during this time period, and how difficult it was to reconcile defeat on either side. It also asks the bigger questions about revolution and the disillusionment of passionate idealists. Corruption of any revolution can occur, and that can be the most devastating for the passionate idealist, but how does it affect those who can see both sides of the equation? And is the real crime to have done nothing or to not have truly chosen a side to be on — right or wrong? The discussion compared the novel to 1984 and to Catch-22 for its satire, but mostly, we were engrossed in the plight of the Captain and his identity issues. We found it hard for him as a European-Vietnamese man with communist and American-leaning tendencies to reconcile all that he was and commit himself to one cause. Overall, most of the members at the meeting “enjoyed” the book, though one or two members were less than thrilled by the disembodied scenes in the interrogation room, which they felt took them out of the story. 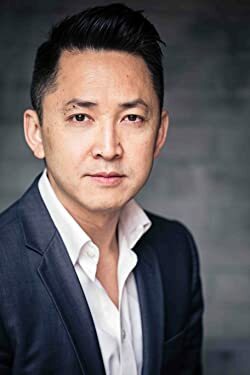 Viet Thanh Nguyen’s novel The Sympathizer is a New York Times best seller and won the Pulitzer Prize for Fiction. Other honors include the Dayton Literary Peace Prize, the Edgar Award for Best First Novel from the Mystery Writers of America, the Andrew Carnegie Medal for Excellence in Fiction from the American Library Association, the First Novel Prize from the Center for Fiction, a Gold Medal in First Fiction from the California Book Awards, and the Asian/Pacific American Literature Award from the Asian/Pacific American Librarian Association. His other books are Nothing Ever Dies: Vietnam and the Memory of War (a finalist for the National Book Award in nonfiction) and Race and Resistance: Literature and Politics in Asian America. He is the Aerol Arnold Chair of English and Professor of American Studies and Ethnicity at the University of Southern California. His next book is a short story collection, The Refugees, forthcoming in February 2017 from Grove Press. 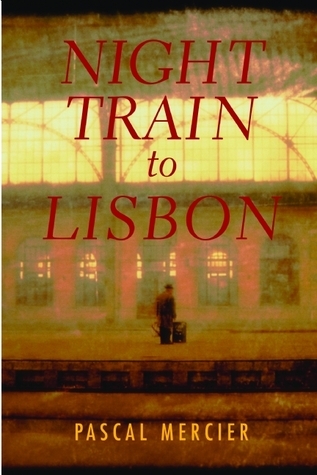 Night Train to Lisbon by Pascal Mercier, translated by Barbara Harshav, is about the paths we take in our lives, the regrets we carry, and the desire to connect with something or someone outside of ourselves. Raimund Gregorius is a Swiss classical languages teacher in Bern, who has cloistered himself among his texts and his classes to the detriment of his marriage and his social life. He’s governed by a routine existence that is abruptly changed one morning on the way to the lycée. His love of language and learning takes him on an unexpected journey into the language and heart of Lisbon as seen through the eyes of Amadeu de Prado, a young doctor caught up in a test of his principals like none other at the time of the Salazar dictatorship. Through a mix of text from Prado that Gregorius translates and the teacher’s interactions with Prado’s family and friends, a tale of hunger, deprivation, and principals emerges that will keep readers on their toes. The parallels Mercier draws between Prado and Gregorius are uncanny, and yet, the men are so different from one another in how they choose their paths. At the same time, both men are swept up in a hunger for more life and more connection, especially given how both their fathers had suffered and how little they knew them. In many ways, it seems as though part of that hunger is fed by the “absence” of the father — though not their physical absence — and the expectations that absence placed on these men as they grew older. Gregorius begins his journey in Lisbon with Prado’s book in his hands, seeking the truth of the man who wrote such inspiring words — words that spurred his desire to drop his old life and journey into a new world. There moments when he loses himself, bumping around Lisbon and falling into the life of Prado so much so that he forgets texts that he lived and breathed in for years. But even in returning to Bern, Gregorius is out of place; it is no longer comfortable or it does not feel like home. Both Prado and Gregorius reach a certain precipice in their lives, and how they handle it is so similar; it is like a mirror image of the past facing the present. Mercier explores the compartmentalization of our own lives and how we can not really know others as intimately as we can know ourselves, but even that is questioned as we can also fall into deceiving ourselves about our own abilities, emotions, and more. Memories are fleeting and often distorted, but to uncover an unvarnished truth about the past, all sides of the story must be sough out to find the truth in the middle. Beyond that there are questions of whether one should be sacrificed for the many or the good cause and what exactly the fear of death is about. Night Train to Lisbon is a methodical and deep account of two men with their own convictions and perceptions about life and what it is that are challenged by the world around them. Deeply moving, profound, philosophical and engaging. Peter Bieri, better known by his pseudonym, Pascal Mercier, is a Swiss writer and philosopher. He studied philosophy, English studies and Indian studies in both London and Heidelberg. Mercier cycling team is a former French professional cycling team that promoted and raced on Mercier racing bikes. Together with the Peugeot cycling team, the Mercier team had a long presence in the cycling sport and in the Tour de France from 1935 until 1983. Barbara Harshav translates from French, German, and Yiddish, in addition to Hebrew. Her translations from Hebrew include works by prominent authors such as Michal Govrin, Yehudah Amihai, Meir Shalev, and Nobel Laureate S.Y. Agnon. She teaches in the Comparative Literature department at Yale University. This is part of my own personal challenge to read more books set in or about Portugal. This is my 27th book for the 2013 New Authors Challenge.